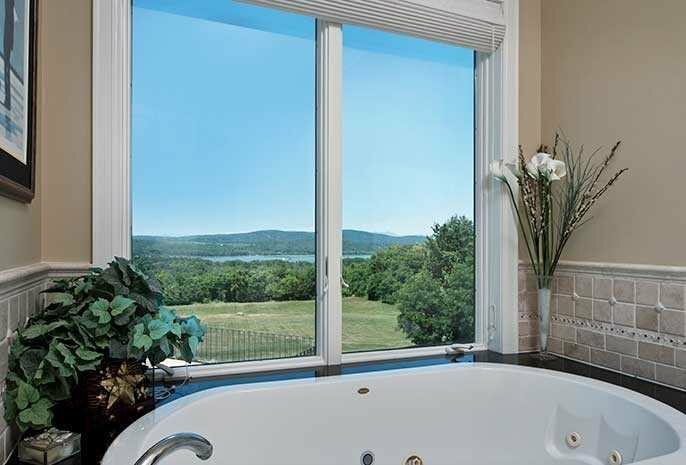 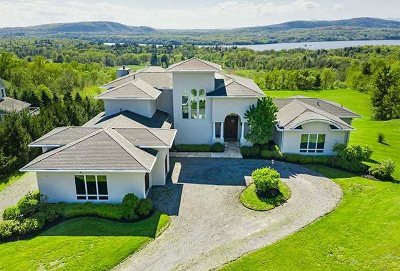 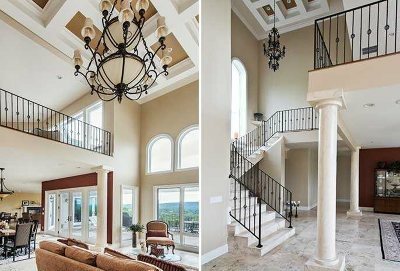 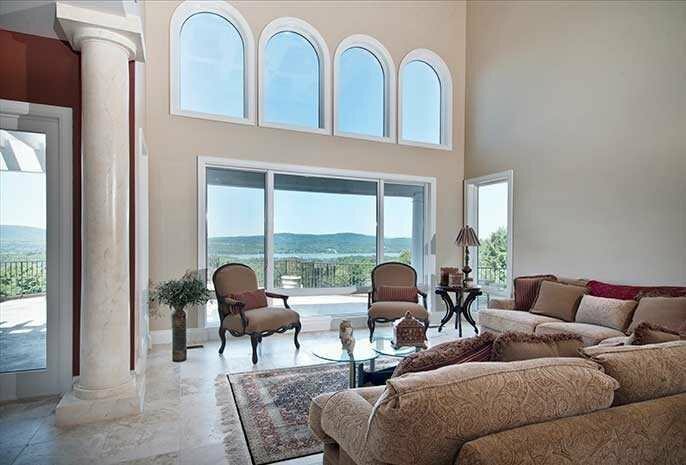 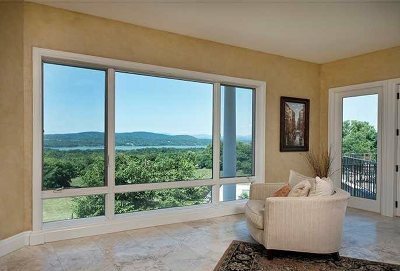 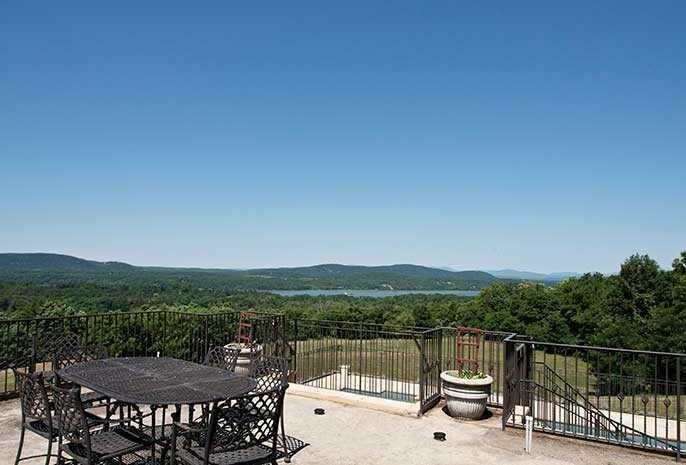 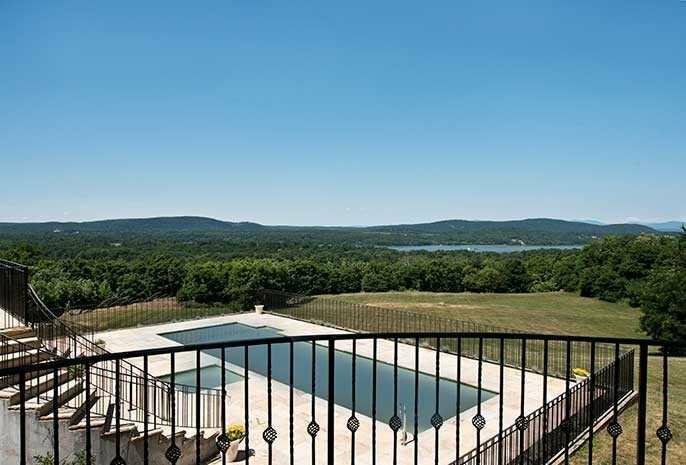 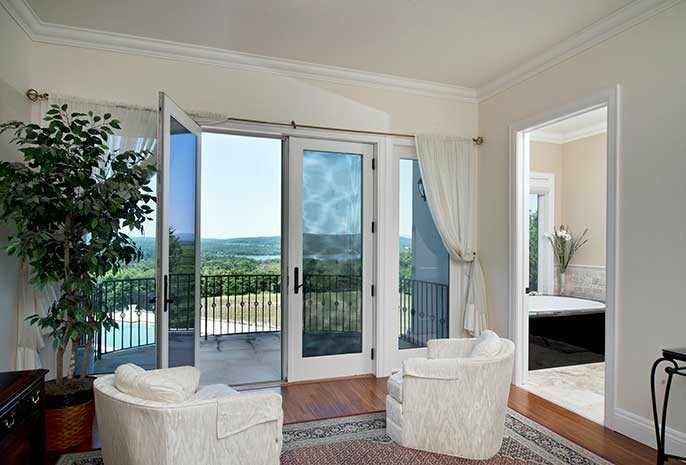 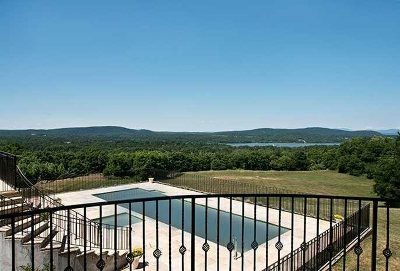 This mediterranean-style luxury home with sweeping Hudson River views is less than 10 minutes south of Rhinebeck Village. Through double-height entrance doors, the living room features 30 foot ceilings and windows that take advantage of the stunning western river view. 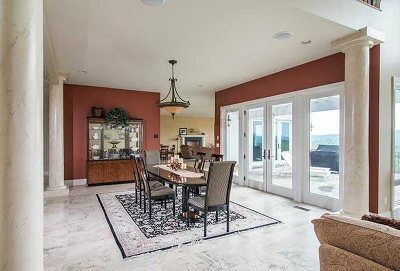 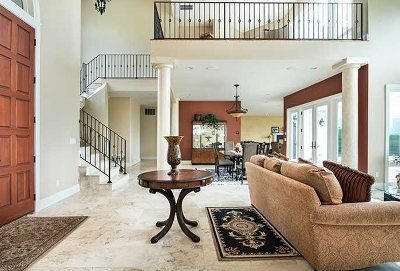 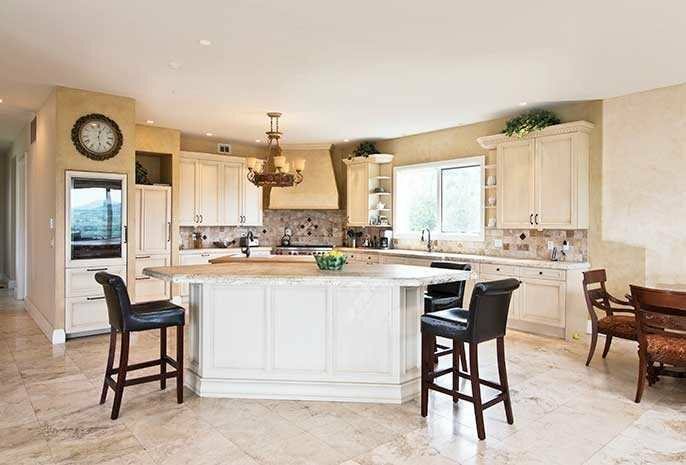 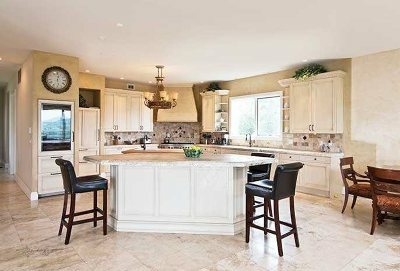 There is an open floor plan leading to the dining room, kitchen and sitting room with fireplace. 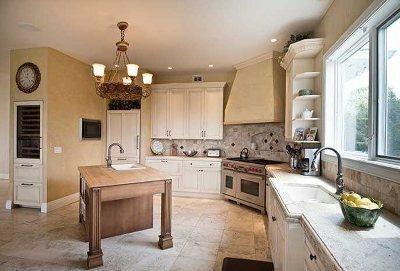 Travertine tiles through out. The walk-out patio steps down to a beautiful pool and hot tub area. Also on the main floor are two bedrooms each with ensuite bathrooms, an office, two half baths and a laundry room. 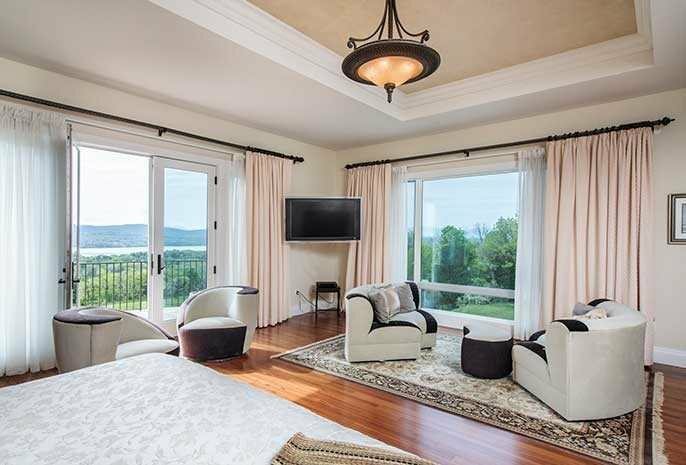 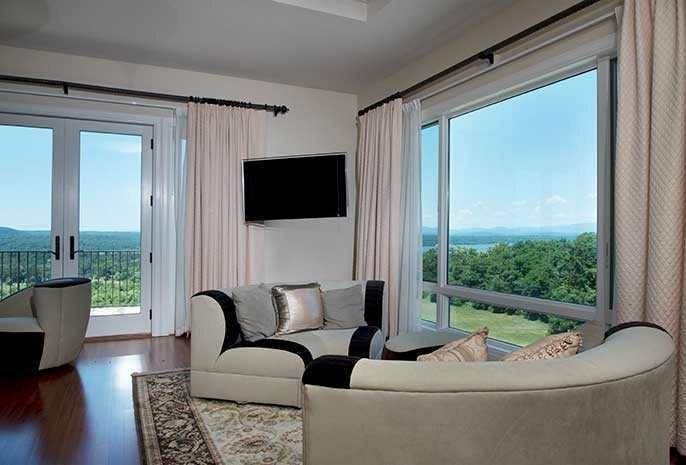 On the second floor, a lavish master suite beginning with a sitting area to enjoy the view. 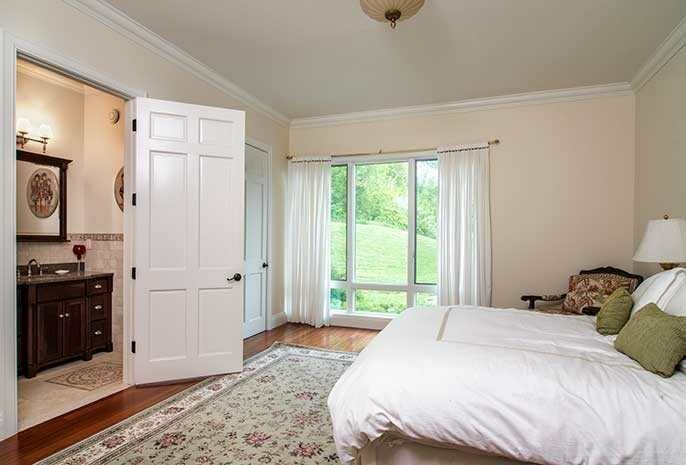 The master bedroom features a balcony, circular whirlpool tub, walk-in shower, double vanity and two walk-in closets. 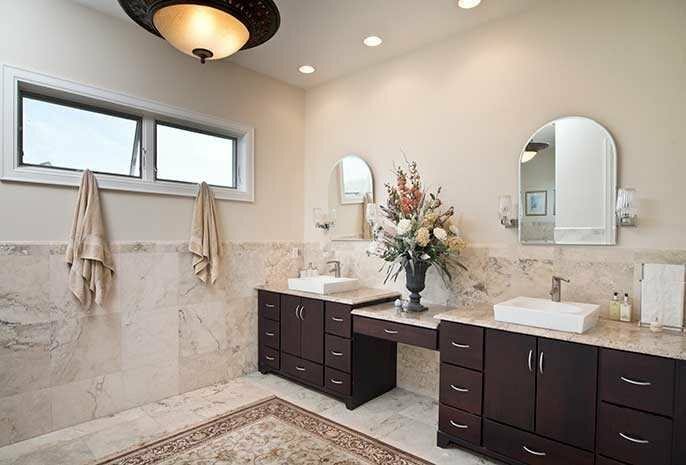 The lower level is partially finished with a full bath. 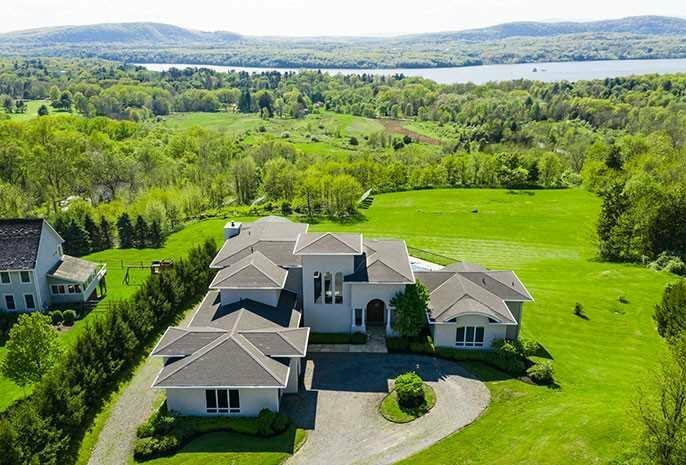 Large attached 3-car garage and solar panels.